Today I want to talk about why mediators should care about EVO Moment #37. For those of you new to the eSports (“electronic sports”) scene, there is an annual tournament, the Evolution Championship Series (“EVO”), that focuses exclusively on fighting games. Such games typically have players battle each other with unique characters, with the first player able to deplete the opposing character’s health bar being declared the winner for that round. Inspired you might say, by humanity’s historical fascination with arena entertainment. EVO Moment #37 is the name of a video clip that refers very specifically to one such fight between two legends in the field of Street Fighter, Daigo Umehara (Japan) and Justin Wong (USA), that took place during the semi-finals of EVO 2004, almost 14 years ago. Deviating slightly from the usual trend of just reading a blot post, I’d like to invite you, the reader, to take just about 1 minute of your time to watch the clip in question. I would advise you to watch with your volume tuned up to not more than 50%, since there is a deafening roar from the crowd towards the end. But before you do – here’s some quick context for readers who have no interaction whatsoever with fighting games. This is a screenshot of the first few seconds. There is a picture-in-picture of the actual players and venue, although you can ignore that for the most part of the clip. •	First, keep in mind that Daigo plays Ken, the character on the left of the screen while Justin plays Chun-Li, on the right. •	There are two small “V”s under each of the health bars, indicating that each player has won 1 round already for this match, which is set as a best-of-3. Thus, whoever wins this round, will take the match. •	On either side of the huge number “47” (the countdown timer) are two long bars that stretch to the end of the screen. These are each character’s health bars. The first character to have his or her health bar deplete completely loses the round. •	You will see that Chun-Li has a significantly longer yellow portion of her bar than Ken’s, which means she has almost close to 100% of her health remaining, while Ken is close to being knocked-out. •	Basically Daigo (Ken) is in a terribly disadvantageous position. All Justin (Chun-Li) needs to do, is land a few more hits and even if Daigo tries to ‘block’ all of them, he will still take some damage, likely knocking him out. Now off you go, here’s the link to the YouTube video of the clip. I’ll wait. Done? Awesome wasn’t it? Oh, you’re not sure what happened? Didn’t we establish Daigo was likely to lose, how did he avoid getting hit for so long? You see, in this version of Street Fighter, there is a special game mechanic called ‘parry’, that allows any character to negate all damage from an incoming attack, only if the defending player hits either the ‘forward’ (for high and middle attacks) or ‘down’ (for low attacks) command input on their joystick at the exact moment of impact. That’s right – not only are there two types of parry commands, you have to time it just right as well with no margin for error. In addition, the flurry of moves that you saw Justin (Chun-Li) pull off at the end is known as a “Super Art”, a long string of multiple attacks with varying height that is executed in an instance. Failing to block or parry the first attack means you will automatically be hit by the remainder of the 10+ attacks in the Super Art. With this new knowledge in-hand, you might want to take another look at the clip – this time, with an even deeper appreciation for why the crowd went wild the way it did, watching live a first-hand display of amazing split-second reaction and timing. Whew – that was a lot of work just for a 14-year old clip. Hopefully you found it entertaining and insightful (if you never knew about the intricacies of fighting games before) but hang on, how is this relevant to mediation again? With Ready Player One hitting the screens recently, I was hit by a huge wave of nostalgia and then I came across EVO Moment #37, a clip that I had watched umpteenth times in the past. As I read more about the iconic moment, I realised that what looked like a display of impromptu reaction was actually just the natural conclusion of hours upon hours of preparation work. You see, Daigo knew that there was a strong chance going into the tournament in 2004 that he would have to fight at least one or more players using Chun-Li. He also knew that his character, Ken, would be at a disadvantage trading blows with Chun-Li, whose attacks were faster and had a longer reach. So Daigo invested hours into his preparation to ensure that he would be able to parry Chun-Li’s Super Art, should he find himself needing to do so. This then, is the first move – preparation. Whenever I observe my mentor and friend, Associate Professor Joel Lee, teach or train mediation at the National University of Singapore, or in his capacity as an Affiliate Partner with CMPartners, I will always remember his emphasis on preparation. Good preparation is about knowing one’s strengths and weaknesses; where likely points of conflict will arise and how we plan ahead what moves we will make to deal with them. The second move is framing. It would not do Daigo much good being able to parry Chun-Li’s Super Art, if she never used it in a position that would win him the round. Remember I mentioned before that Daigo and Justin had already won one round each? It is actually worthwhile going back to watch those two rounds in detail, or read about it here. Daigo was only able to pull off his magnificent counter-attack because he had already primed Justin over the two earlier rounds into specific reactions. In this case, Daigo wanted to set a strong frame that whenever Justin thought he was in a stronger position, Justin should take the initiative. This is not strictly speaking the most sensible move for Justin since his health advantage allows him to wait out the timer and win on a timeout. Likewise, as mediators, a lot of our best moves are made well in advance, when we frame issues and concerns well. As Joel likes to say, an ounce of framing is worth a pound of re-framing (I think that’s right, I grew up using the metric system but using grams and kilograms doesn’t have quite the same poetic effect). As mediators, if we want parties to get comfortable saying yes to the bigger issues, then we should start working on getting them agreeing on smaller ones. On this note, we often refer to the agenda as the parties’ first agreement and this has a lot more meaning to it than many people realise. The third move is patience. The problem with planning is that we never end up using them the way we planned. Often there are too many variables that get in the way and we give up our preparation for the sake of wanting to be relevant to the moment. Daigo could have abandoned his strategy at any time during the match, especially when his health dropped precariously low. I know I would if I was in his position. 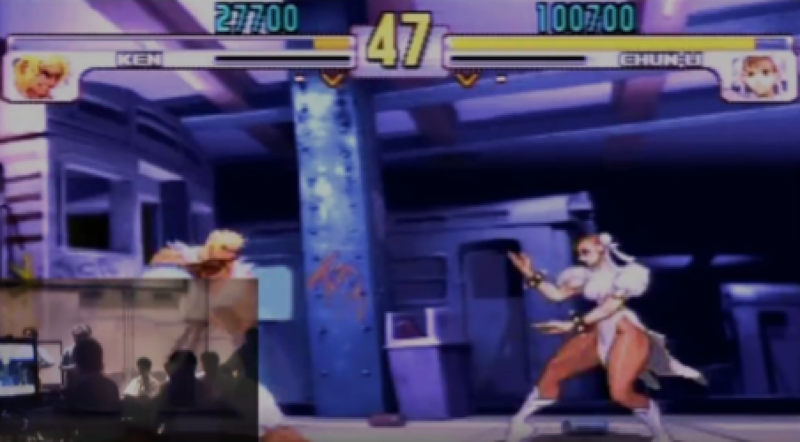 You can barely see Daigo’s health at all, it is a sliver of a pixel when Justin unleashes Chun-Li’s Super Art! Thankfully, Daigo did not panic and had the patience to wait it out, placing his faith in his preparation and framing. As mediators, how often do we tell ourselves right after hearing the opening statement from the parties, “This is hopeless”? I have had co-mediators who would turn to me right after the opening statement to say, “The parties’ opening positions are too far apart; this will never settle we might as well call it off”. We must be patient. 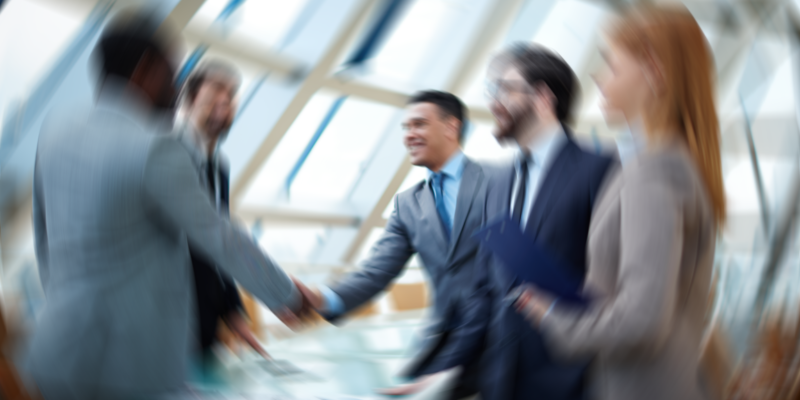 We are brought in to help parties when they are in conflict – is it any surprise they would not be anywhere near settlement at the opening stages of a mediation? Remember our training, explore the parties’ interests, treat all responses as information and maintain curiosity. Sometimes it may seem that we are close to running out of options, just like Daigo’s health bar, but it is in that precise moment that we may find the right opportunity to get a settlement. Preparation, framing and patience. By placing these familiar concepts in an unfamiliar light, hopefully you might derive some new insights of your own. Here’s to each mediator having your very own EVO Moment #37.